This site has lain fallow for a little while now, for a number of reasons, not least of which that I found myself in a pit of Cabal Hell which I didn’t get around to digging myself out of for two years. I have now switched the site, and its .travis.yml spec, over to stack, so I’m up and running again, and hopefully I’ll remember to post occasionally! 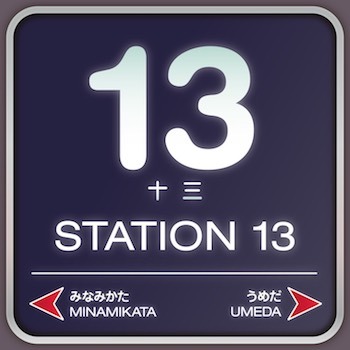 Anyway, just wanted to take the opportunity to plug one of my new projects, Station 13. Station 13 is a joint project between me and my good friend and former coworker, Alex May. We used to catch a train together when we were working in the videogames industry in Kyoto, Japan, and during those journeys we’d talk about anything and everything that caught our interest. We missed those train journeys, so we decided to recreate them, and to record them so anybody else who might be interested could also listen! If this range of topics sounds appealing to you, please subscribe! It should be listed in your favourite podcast player’s directory (please let me know if it isn’t), or you can visit the website below. Thanks!